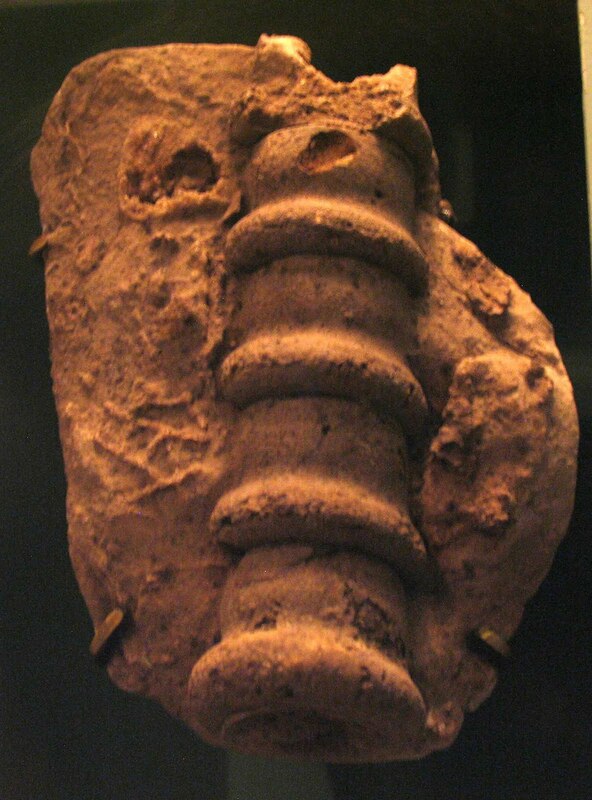 Middle Silurian cephalopod fossil on display at the Smithsonian National Museum of Natural History in Washington, D.C. 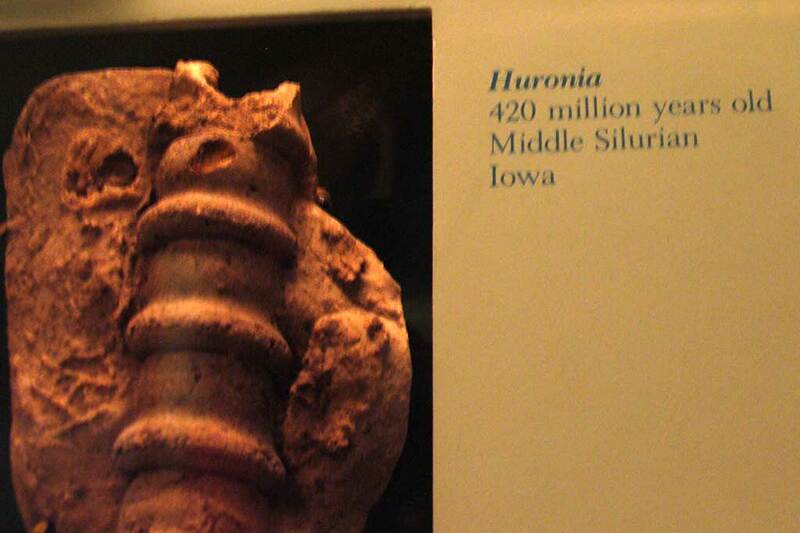 The fossil is labeled Huronia from Iowa (420 million years ago). Image was taken in 2010.